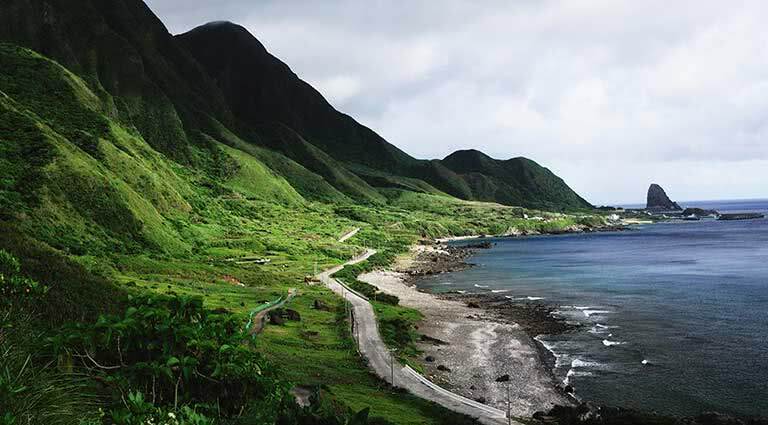 Explore this oft-overpassed island, located off the southern mainland of China with this exciting 6-day luxury Taiwan itinerary. 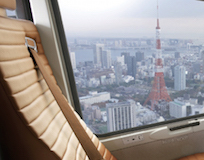 Experience the juxtaposition of ancient temples and towering skyscrapers on the age-old landscape. 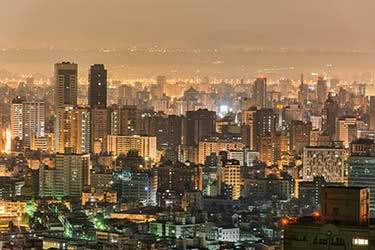 Taipei is a cultural epicenter with a unique lifestyle. Located on the “ring of fire,” relax in a soothing natural hot spring, while absorbing the stunning scenery. 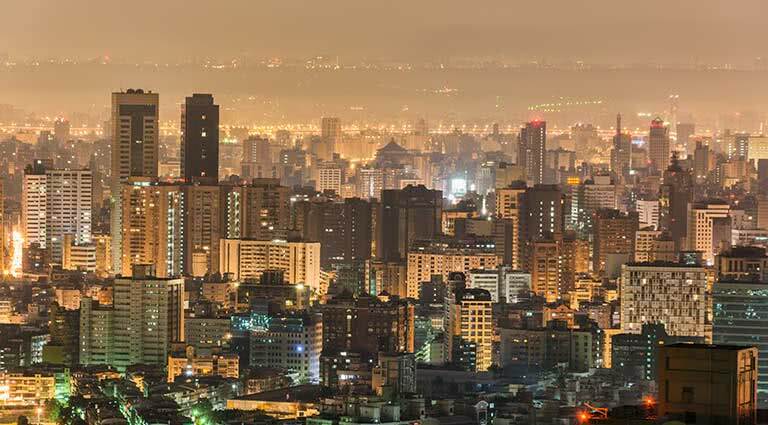 Begin your luxury vacation in Taiwan’s largest city, Taipei. 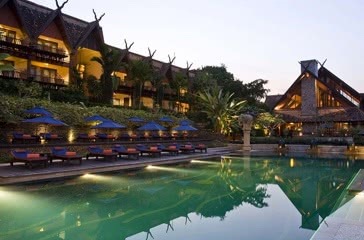 Check in to one of our two recommended luxury hotels, either Villa 32, or W Hotel. Grab some amazing deals as you shop in Ximending - the first pedestrian zone in Taipei. 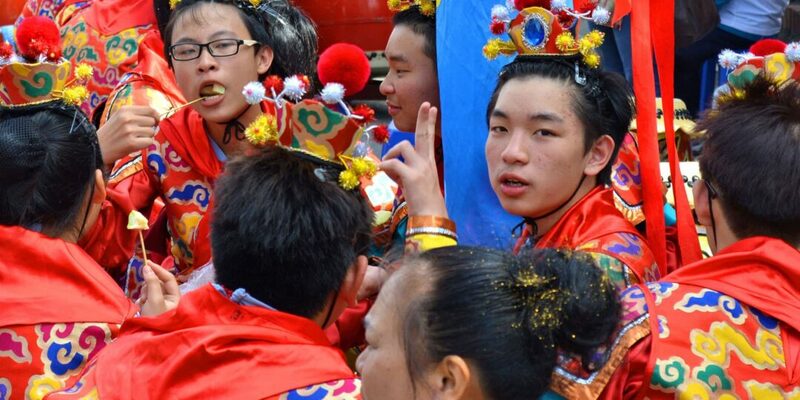 Also known as Ximen Red House, there are street performers and excitement everywhere. At night, visit the Shilin Night Market - the most famous and largest night market in the bustling city. Sample traditional Taiwanese ribs, sausages and sticky rice in the food section of the market before snagging more discounted souvenirs and goodies. 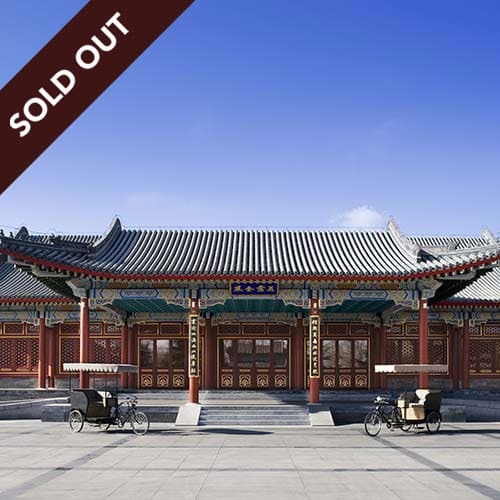 Start your day by perusing the antique National Palace Museum. See the vast collection that was reclaimed after being liberated from China. 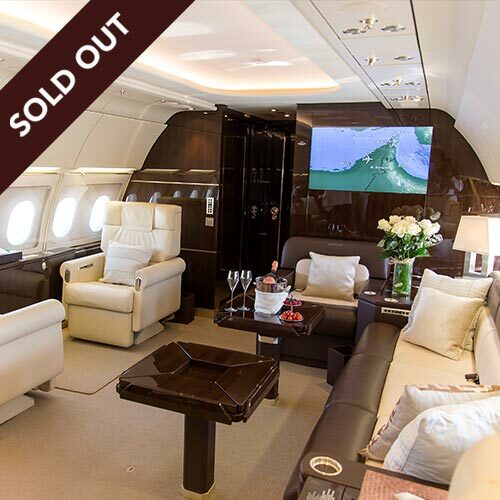 With nearly 700,000 works of art, you will have plenty to enjoy. 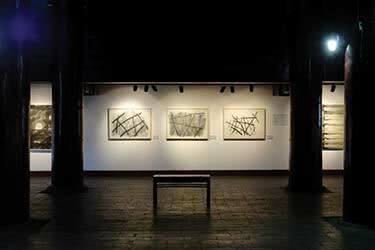 Next, view religious life at the beautiful, historic Longshan Temple. Vibrant red arched roofs and gold plating make this temple a rare gem. Top off the cultured day by stepping into modern times at MOCA (Museum of Contemporary Art) in an important Japanese-era building. On your final day in Taipei, stroll in the massive forested national park, Yangmingshan. Smell the fresh florals in the park’s many flower gardens. After stretching your legs, rest them in Wulai’s hot springs. Enjoy the natural pools in the aboriginal village. Return for your final night in your luxury Taipei hotel. 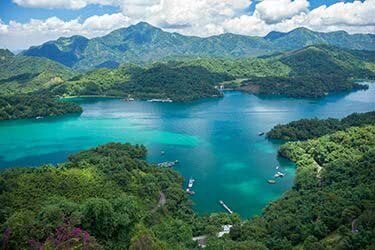 Leaving Taipei, travel to the home of the Thao tribe, and explore the Sun Moon Lake. 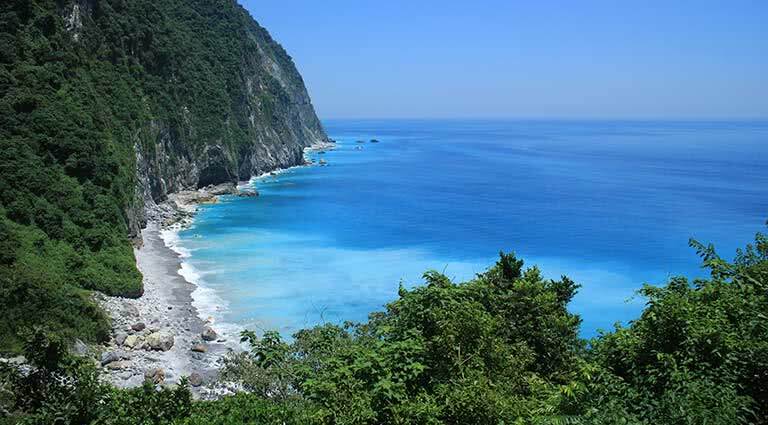 This is the largest body of water in Taiwan. Settle in to your luxury room at The Lalu, before taking a boat tour from the Shueishe Wharf, where you can snap a breathtaking picture of the incredible lake surrounded by natural greenery. End the day at a traditional tea factory sampling the different Taiwanese flavors. 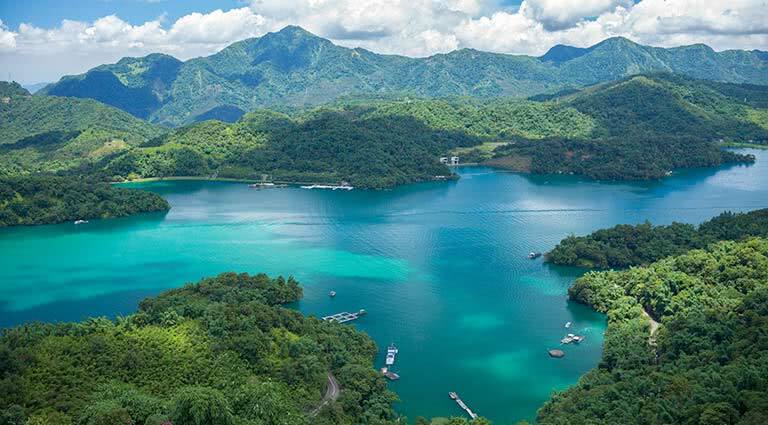 Marvel at the view of Sun Moon Lake as you ride in a cable car on the Ropeway. 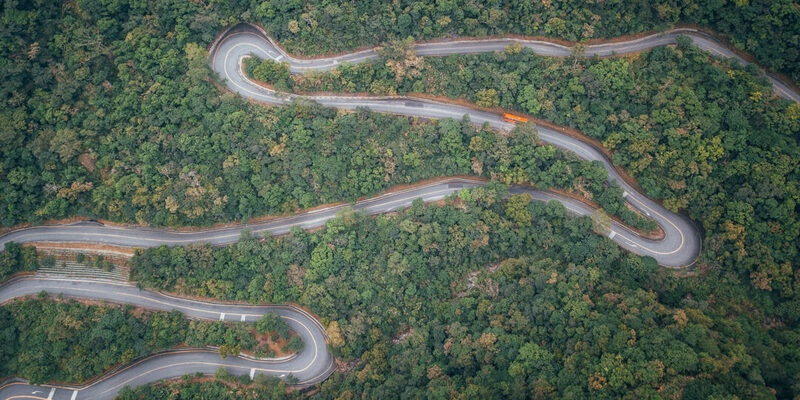 Continue on to visit the Wenwu Temple, located on the shoulder of the mountain and on Sun Moon Lake. Rebuilt after the 1999 earthquake, the classic temple is in pristine condition. Next, marvel at the vast amount of marble at Taroko Gorge. After checking in to your luxury room at Silks Place, stretch your legs and climb to the top of the gorge for a stunning view of the natural scenery below. 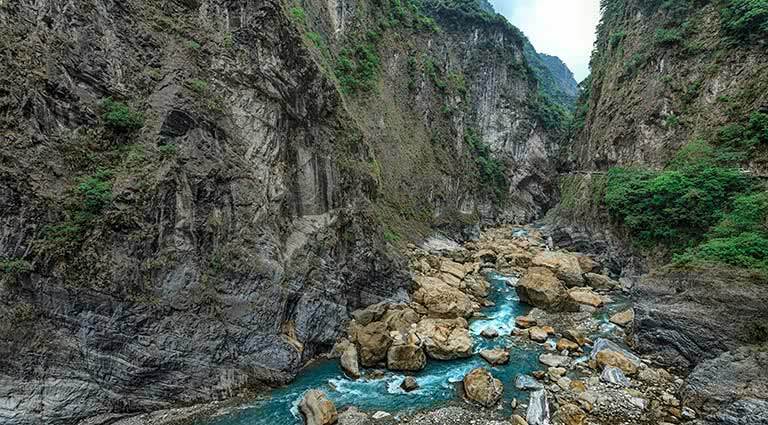 Take your adventure to the next level as you river trace in the Taroko Gorge. 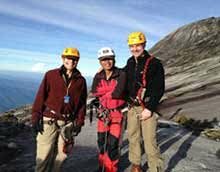 Truly the best way to enjoy the view, you will combine climbing and hiking in the picturesque (and safe) environment. 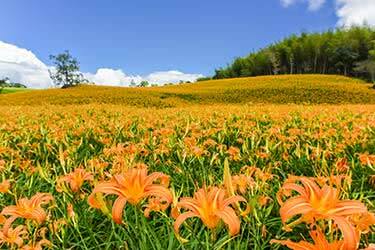 Visit the Changchun Shrine, or the Eternal Spring Shrine. The shrine commemorates the 212 construction workers who died building the Central Cross-Island Highway. Put on your waterproof gear when you visit the Shuilian Cave, or the Water Curtain Cave. Brought to fame by the novel, Journey to the West, this is where the main character sought enlightenment. Before your journey ends, hike the Shakadang Trail, or Mysterious Valley Trail, built along the river’s edge, and get one last glimpse of the postcard-perfect views. 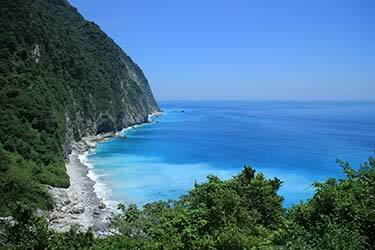 Spend the morning at your own leisure, enjoying the views offered by Taroko Gorge. 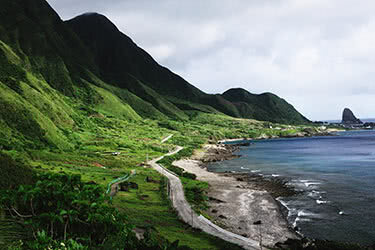 Check out and transfer back to Taipei for your departing flight. 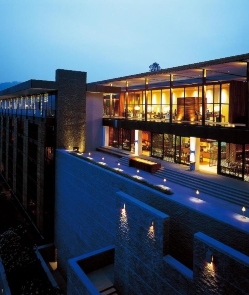 An ultra-luxurious Japanese onsen-style boutique resort in Taipei's Beitou district, Villa 32 sets new standards in luxury and comfort for Taiwan. 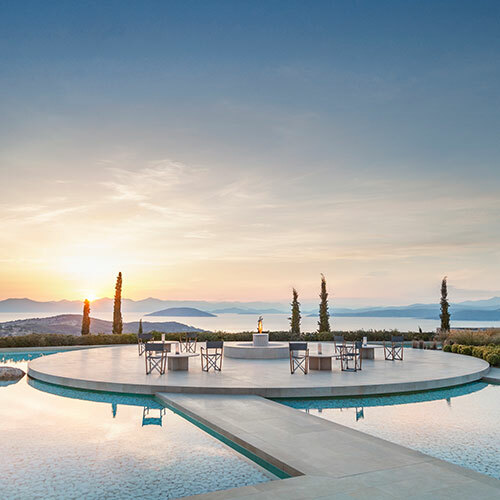 A truly intimate resort with just 5 suites, all coming with Bang & Olufsen stereos, Hermes cutlery, Boffi bathing facilities, and skincare products by L'Occitane and Dermalogica, each suite has its own hot spring fed by underground geothermal springs. The restaurant offers superb fine dining with an exquisite Italian menu cooked up by Chef Jimmy, accompanied by one of the city's finest wine lists. 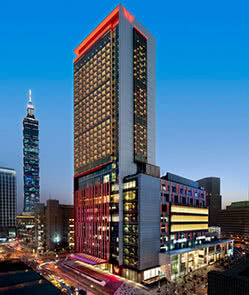 Fans of contemporary design will enjoy the refreshing W Taipei hotel with its unique city chic style. 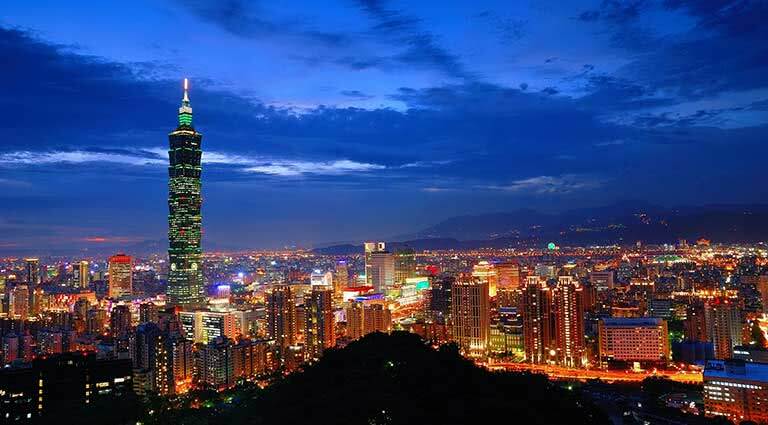 The hotel is set in the central Xinyi District, directly above Uni-Hanku Department Store and within walking distance from the City Hall MRT Station and the iconic Taipei 101 Building. 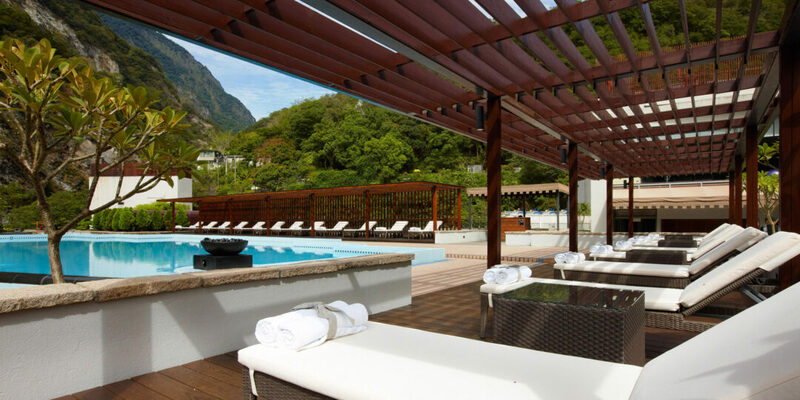 The hotel’s signature facilities range from the stylish WET® outdoor swimming pool, indulgent treatments at AWAY® Spa, modern equipment, iPod docks, a yoga room and personal trainers at SWEAT® and the cool after hours Woobar Night Club. 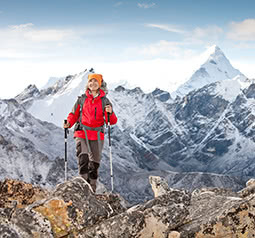 The individually styled rooms provide wide vistas of the vibrant capital city and the local mountain range. The colorful guestrooms feature large and comfortable beds, roomy bathrooms complete with bathtub and Bliss Spa® toiletries, state of the art BOSE audio systems and flat screen TVs. The in-house restaurant, YEN, popular with Taiwanese celebrities, plates up contemporary Chinese cuisine, there is also an international buffet and tasty cocktails, wine and beer at the pool-side bar. 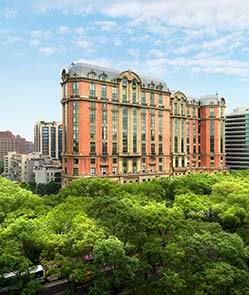 The utterly stunning Mandarin Oriental Taipei stands shining over Dun Hua North Road in central Taipei. Just a short distance from both Songshan Airport Station and from Nanjing East Road MRT station, this architectural marvel is within easy reach of the city and all its delights. 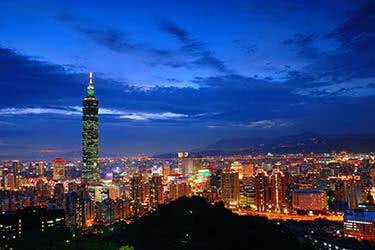 Nearby attractions certain to interest guests include Taipei Arena, Taipei Fine Art Museum, a number of beautiful riverside parks and the city’s shopping district with Taipei 101. Within the hotel are a range of opulent rooms and suites to suit all tastes, sumptuously decorated and well equipped for comfort and luxury. Guests can choose between three formal restaurants serving a range of cuisines from around the world, while the hotel’s bar and cake shop serve delightful little treats. What’s more, the pool, spa and lounge encourage guests to relax and unwind, while the fitness center is perfect for invigorating workouts. With heritage dating back over 100 years, superb panoramic views of the mystical Sun Moon Lake and 5-star opulence, The Lalu has it all. This hotel, which dates back to 1901, was previously the beloved summer vacation spot for Taiwanese President Chiang Kai Shek. 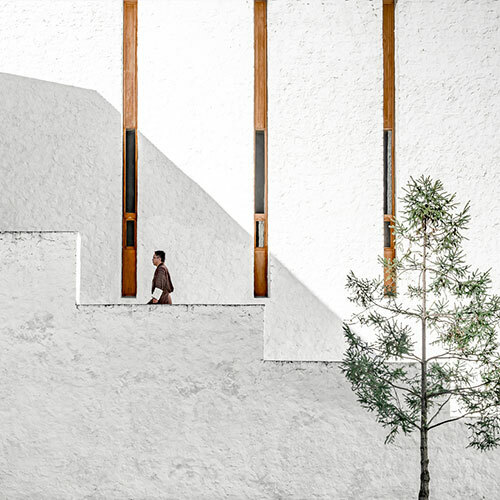 The Lahu has since been renovated, now rendering new Zen architecture. 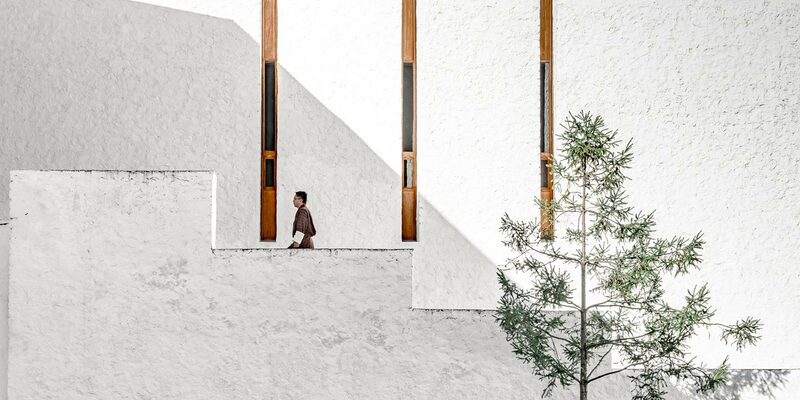 The building and interior design emphasizes the contrast between light and shadow, accentuating its minimalist décor and adding to the blissfulness that consumes the property. Guests can select from one or two bedroomed suites with separate living areas and private balconies looking out to the lake, or a courtyard villa with its own private pool. 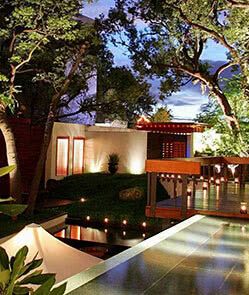 Inside, rooms are plush and feature up-market motifs like stone fireplaces and balconies decked with bonsai. The extravagance continues to the room’s amenities including Bose stereo systems and free Wi-Fi to the hotel’s facilities, which boasts the largest swimming pool in Taiwan and an in-house spa. 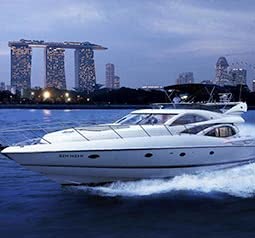 Gourmands will not be disappointed at the dining options such as The Oriental Brasserie dishing up top-notch Italian, French and Asian cuisine, The Lake View Chinese Restaurant, a Japanese restaurant and a tea house. 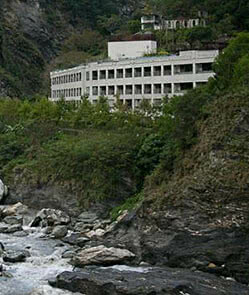 This large, sleek, contemporary Chinese style hotel offers sweeping vistas of Taroko Gorge and its surrounding mountainside. 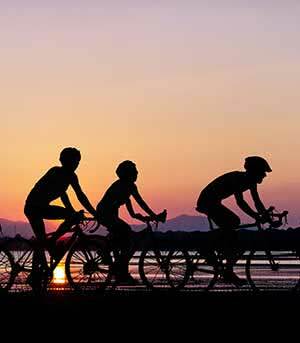 The hotel has many five-star well-being facilities including an indoor and outdoor pool, a spa, sauna and gym with fitness classes. The hotel’s deluxe rooms are well-furnished with modern amenities and private balconies overlooking either the nearby mountains or the river below. 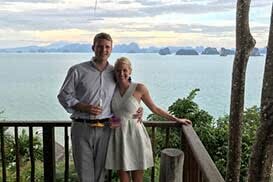 Diners may enjoy Chinese or international dishes al-fresco amongst the rugged gorge edges, or inside in the elegant restaurant with two private rooms. 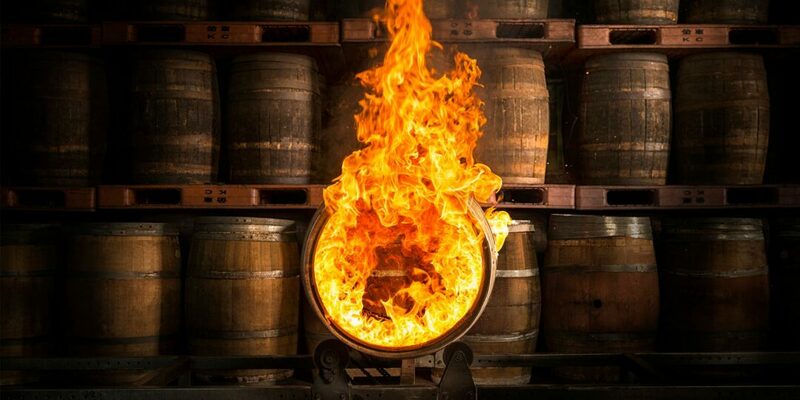 In the evenings, guests can indulge in a few after dinner drinks and star gazing at the Fire Place bar -complete with stylish outdoor heaters. 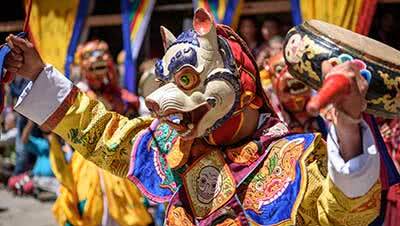 Experience the unique charm of Taiwan on this luxurious 11-day holiday. Between visiting ancient temples, bustling markets, lush rainforests and a stunning gorge, the country will surely win your heart. There’s even time for soaking weary traveler’s bones in a relaxing natural hot spring. Taiwan may slip under the radar on many travelers’ lists, but the island holds more than just a surprising economic power. 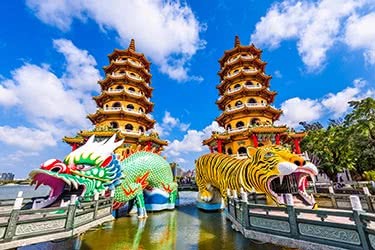 Leave bustling Taipei and visit fascinating historic sites including the Chihkan Towers and exotic temples and shrines in Tainan to learn about Taiwan’s unique past on this luxurious 5-day tour. 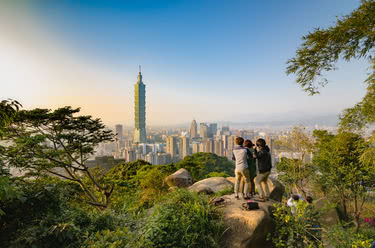 Gather the family and head to Taiwan for a 9-day trip through the island’s most exciting cities and postcard-perfect natural landscapes that is sure to captivate and teach even the youngest traveler. 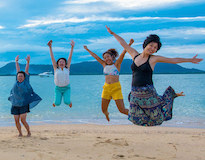 Education and entertainment can be found hand in hand at interactive museums, cultural villages, ancient tea houses, community farms and temples throughout the island, from Taipei down to Kaosiung. 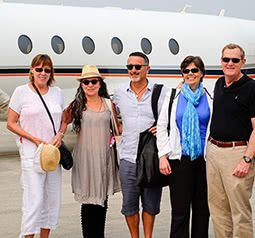 Relish these good times with the whole family and come away with fond memories and new lessons for everyone. 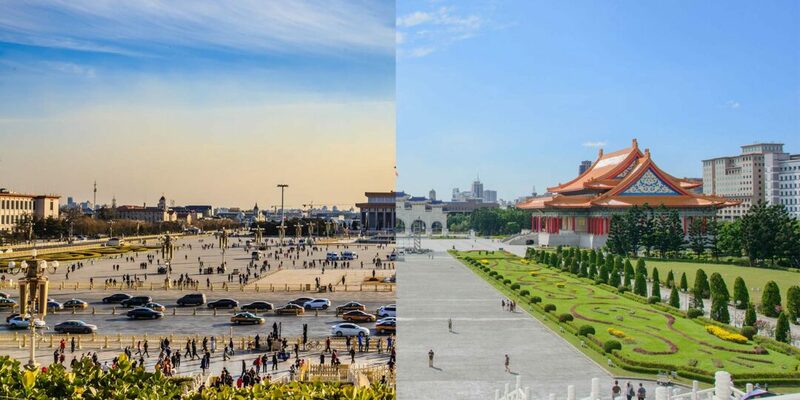 Our co-founder & CEO Catherine Heald loves this often overlooked little country, especially its beautiful landscapes and fascinating National Palace Museum. 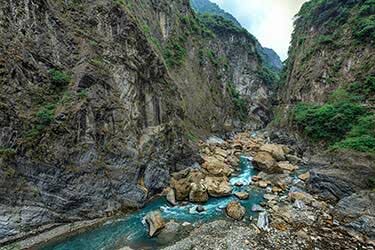 Taroko Gorge is one of Taiwan's hottest hiking spots, and Silks Place Taroko is one of the few luxury options in this rugged Formosa landscape. 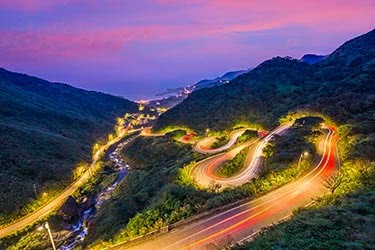 A road trip along Taiwan's east coast allows travelers to see strange architectural wonders, breathtaking natural beauty, and dynamic Asian cityscapes from a whole new angle. 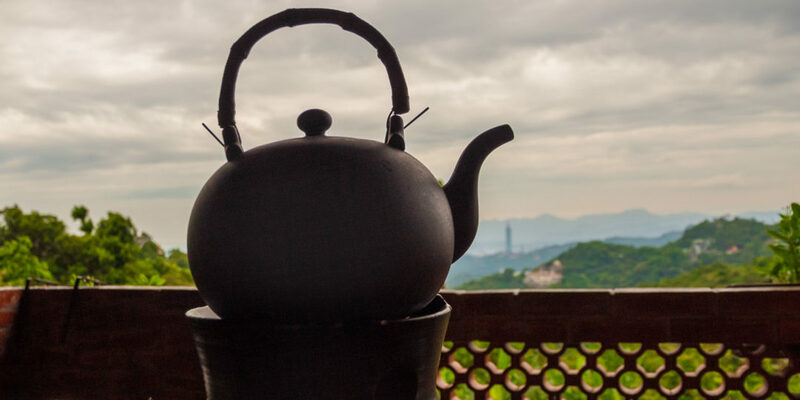 Writer and historian Jeremiah Jenne takes the Maokong Gondola outside of Taipei for a taste of the country's tea and a look into its past. Whether it's a tourist trap or a beloved destination for tea lovers depends on how far you are willing to walk. For travelers who want to experience Taiwan away from the rush of Taipei, Tainan is a slower, more historic city – some might even say the island's oldest.